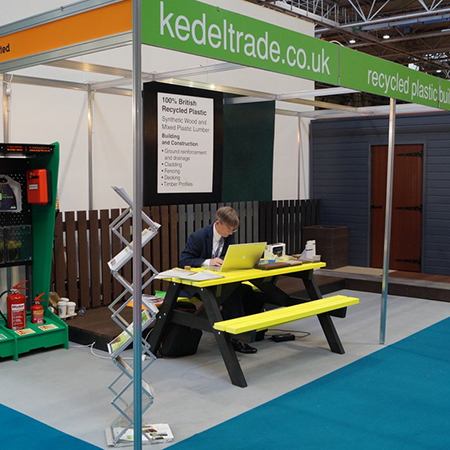 Kedel Limited showcased their award winning Recycled Plastic products at the NEC in Birmingham this year for Construction Week at The Build Show. 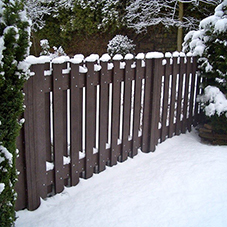 A healthy range of no maintenance products were displayed by Kedel including: their new decking product ‘KEDECK’, Fencing, another new product launched at the show, ‘Stormboard’ for advertising and site hoarding, Cladding, Gates, Picnic Tables & a bespoke S.O.S (Safety-on-Site) Station made for ECG Groundworks Limited. 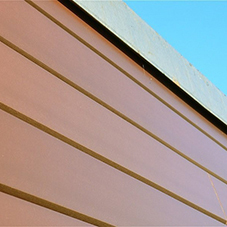 The wide variety of Recycled Plastic products displayed did not endear Kedel to the wood suppliers at the show, but the maintenance free advantages certainly sparked a lot of interest from architects, facilities managers, the general public and most of all, our fellow exhibitors. Two of the three founding brothers of Kedel, Dermot & Lewis Walch, made a light-hearted promotional video on the stand about the benefits of maintenance-free recycled plastic products for building and construction. About 2 minutes long and worth watching.